The former Olympic port of Barcelona is now a marina. 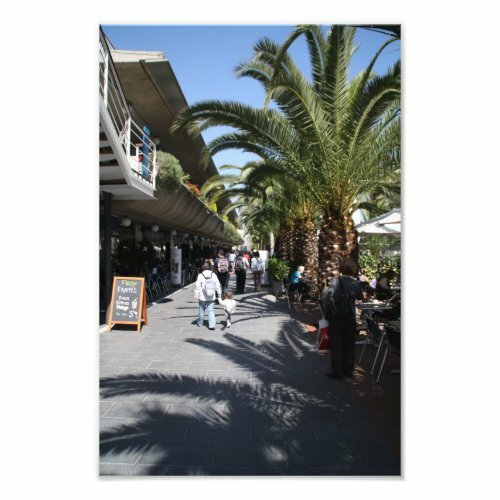 The photo shows a footpath, lined with palm trees, along the many bars, cafes, restaurants and small shops that surround the port. The marina itself is not visible, but is to the right of the palm trees.